Hooray!! 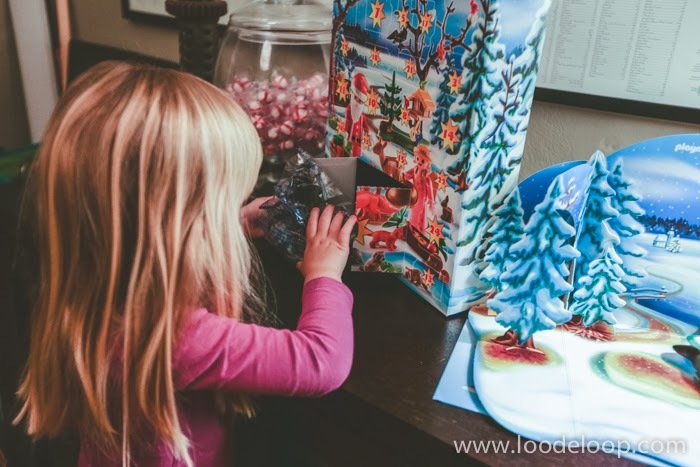 December is finally upon us and we are so excited in this house. We have not one, not two but THREE Advent Calendars going right now with plans for a fourth one. 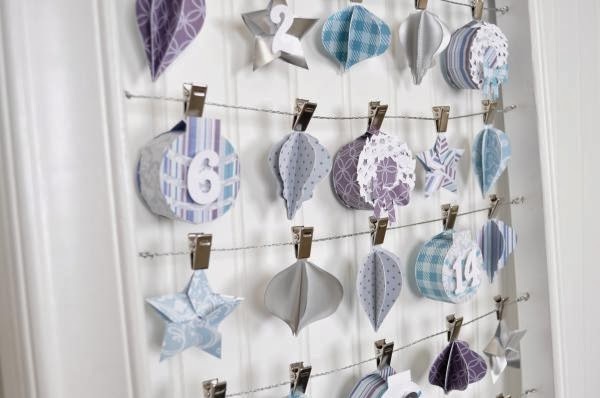 I love the idea of celebrating 25 Days of December and these Advent Calendars make the countdown tot he big day really special. This one is all filled up with special activities that we will do together as a family. Some activities are pre-planned events (Santa Train, family Christmas Party). Some are crafts (cut snowflakes to decorate windows, makes an ornament) and some are charitable activities (buy a toy to donate to Toys for Tots). The second Advent Calendar we have is a Playmobil one that has a different little piece to add to a winter scene each day. Matilda is loving this one! So far we have 2 trees, some squirrels, and a couple of raccoons. The third Advent Calendar we have is for Mom and Dad. It's this darling one from Starbucks of all places. 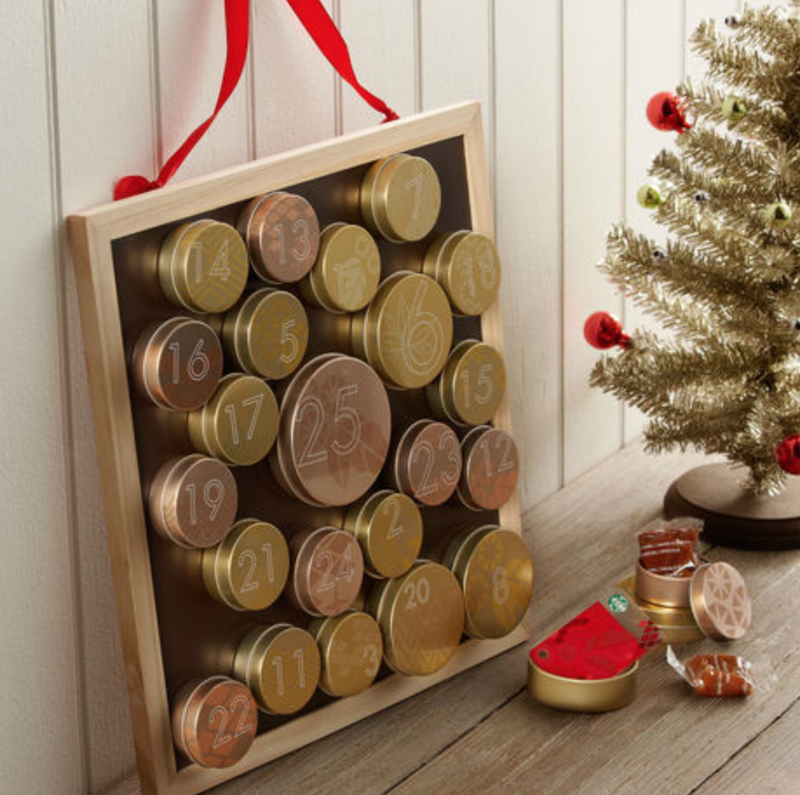 It has a magnetic chalkboard background with 25 tins filled with a little treat. This will be a nice calendar to reuse year after year. I may use this calendar to display one little photo from each day in December. I haven't decided yet... More to come on this subject. 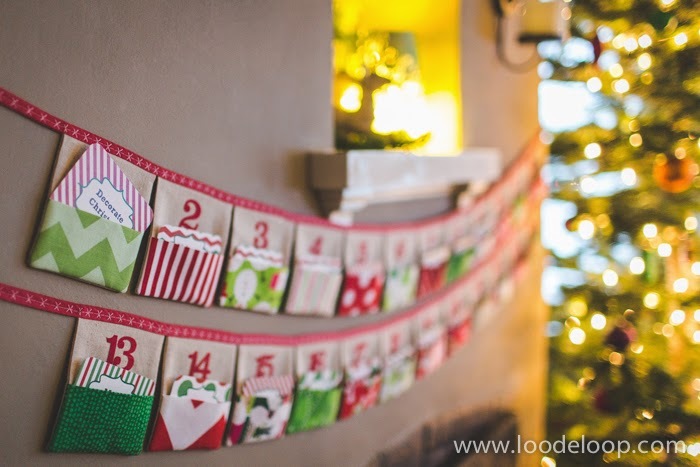 Next on the blog: Days 1, Day 2 & Day 3 of our Advent Calendar activities.